Around 700m fewer letters will be sent this year following a shake-up of European privacy rules, warns Royal Mail. The changes coming into effect next Friday would see the decline in letters accelerate, it says. It is because the new rules, known as the General Data Protection Regulation, make it harder for businesses to send unsolicited junk mail. 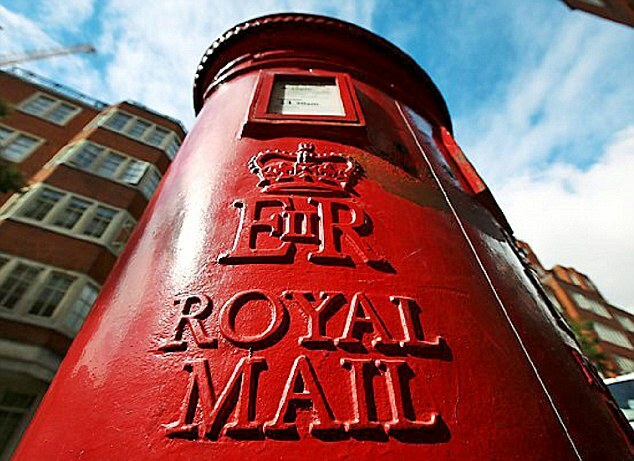 Letter volumes declined 4 per cent overall in the year to March 31, to 11.27bn, Royal Mail said yesterday. And because of the privacy rule changes, that is expected to worsen to 6 per cent or more this year, or about 676m fewer. However the number of parcels handled surged by 5 per cent to 1.23bn and is expected to grow. The General Data Protection Regulation is the most important change to privacy rules in 20 years. From next Friday, people have more control over how personal information is used. Companies must ask permission to collect and use information such as names, email addresses and internet browsing habits, and are contacting customers on their databases. Firms that break the rules face fines of up to £18million, or 4 per cent of their annual turnover. Sales overall rose 4 per cent to £10.2billion last year but profits slipped 36.7 per cent, to £212million as Royal Mail grappled with transformation costs and a pensions overhaul. Moya Greene, Royal Mail’s outgoing chief executive, clinched a deal on pensions and pay with unions earlier this year, before announcing her retirement. Canadian Greene steps down at the end of this month after steering the company through its 2013 privatisation, and has been hailed for her efforts since to modernise its operations – although the changes have provoked several run-ins with unions. The latest row with the Communications Workers Union last year led to the announcement of strikes. However Royal Mail said this violated an earlier agreement requiring the union to go through mediators first, and successfully blocked the planned industrial action in the High Court. After the two sides returned to the table, Greene personally negotiated a deal to replace the defined benefit pensions scheme in exchange for a pay rise for staff and shorter hours. She will be succeeded by Rico Back, the boss of Royal Mail’s parcels arm, GLS, but will stay on at the company until September. He is set to receive a £640,000 salary – £100,000 more than Greene’s – and it also emerged he was given £6million by the group to buy out a previous contract he was on. Shares in Royal Mail yesterday sank 7.2 per cent, or 42.8p, to 555p.